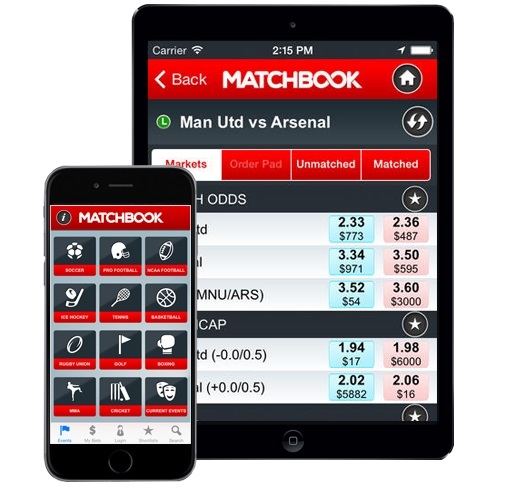 Matchbook is one of the oldest and most trusted online bookmakers in the UK, giving users an alternative to the traditional fixed odds bookmaking by providing a peer-to-peer exchange system. This allows users to set their own odds and bet against each other with only a small commission being taken by the Matchbook site. One of the key selling points of the Matchbook exchange is the wide selection of sports, leagues and sporting events for users to choose from when placing a wager. Coupled with the ability to live bet on sporting events as they occur, fans of Arsenal using Matchbook should have no trouble finding the markets on the Gunners and their other favourite sports. Those who want to claim the bonus must be new users to Matchbook. Existing users will not be able to take part in the Matchbook Sports Sign Up Bonus. Users are required to create a Matchbook Betting Account before they may take part in the Sign Up Bonus. The offer only applies to those who registered via the bonus links in this review. Your bets placed can be back bets or lay bets and can be placed with any available odds. Your account funds can only be played on the Matchbook Sports Exchange – not against your own account. After registering for an account users may then use one of the many deposit methods to fund their account. Betting on Arsenal next season under a new manager and fresh expectations is expected to be extremely popular at Matchbook, with markets such as Over/Under and Total Goals available to Gunners fans. As this is a betting exchange and you’re new to betting on Arsenal completely, then we strongly advise you to read up on our review before placing a bet on the club ahead of the new season. The Matchbook Exchange can be accessed through both a browser-based client and a mobile app. The browser-based client requires users to simply visit the site on their mobile device, no download will be necessary. The Matchbook mobile application is available for Android and iOS mobile devices and you can download it by visiting the Google Play or iTunes online stores. The mobile app offers all the same options as the browser-based client with the added benefit of being just a touch away on your mobile device. A wide range of sports and leagues are available for betting at Matchbook. Top UK sports such as Premier League football, tennis, rugby and cricket in particular are very well represented on the site with leagues from around the world and live in-play betting on a large selection of matches, including the Gunners. If there are any Gunners fans reading this Matchbook Sports review and wondering is there anything to add to betting on racing then the good news is that there’s currently a 1.5% commission on horse racing on all net winnings. New customers can get this offer and if you make a net loss then Matchbook Sports won’t charge you any commission fees – perfect! You’ll be entitled to one free withdrawal weekly (Monday to Sunday) if using a credit card, Skrill or Neteller. T&Cs apply. 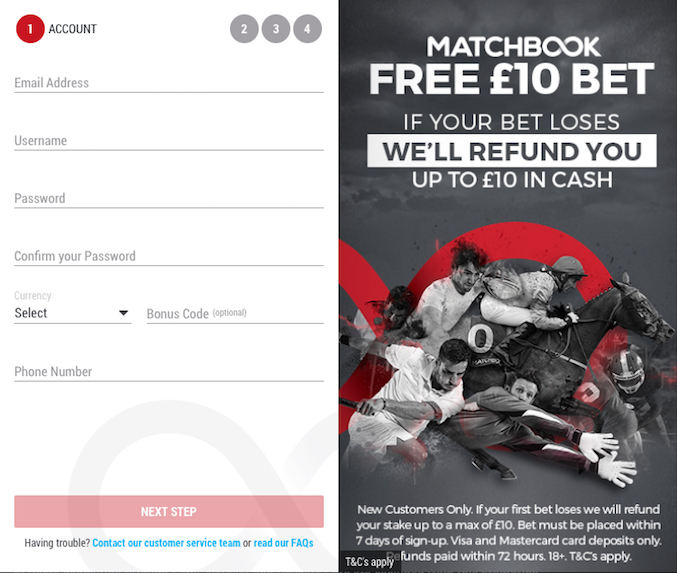 Matchbook has clearly cemented its place in the UK betting market as one of the leading peer-to-peer exchanges on-offer. The site give users the opportunity to bet with some of the lowest commission rates in the business and a wide range of sports that will give our readers the chance to bet with ease on Arsenal, or whoever else they may want to bet on.